As you (may) know, last week I joined a team of 15 PGAB and MS&T students to Eurosim, the annual EU simulation to which 10 European and 10 American universities participate. Close to 200 students took different roles in the various EU institutions and spent several days negotiating the EU budget. It is really an amazing experience from which the students learn a lot. Just in a few days, they learn to become real diplomats and deal with all kinds of problems. Eurosim is the only EU simulation which includes US universities. 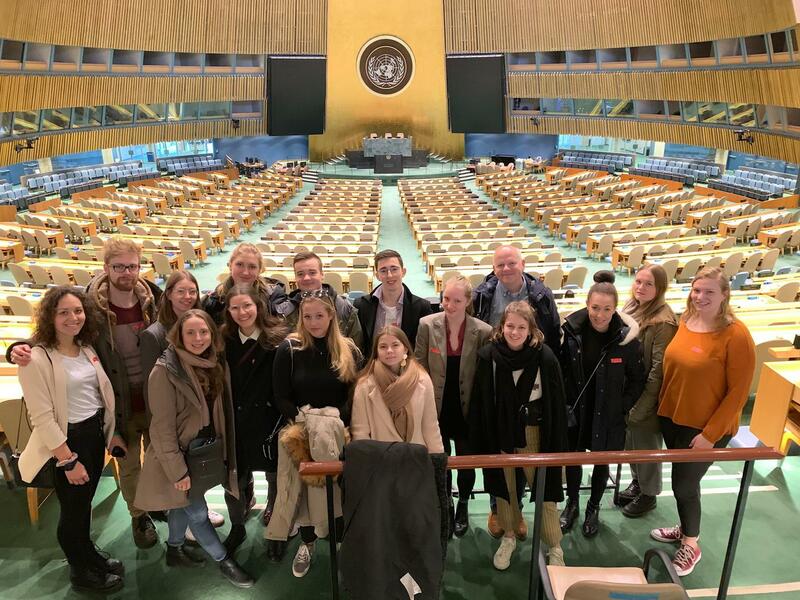 This year, for some reason, only 15 of our PGAB students took part, so I had a great week with German students representing Twente ;) As the conference took place in Rochester this year (upstate New York), we also had time to visit the UN in New York. 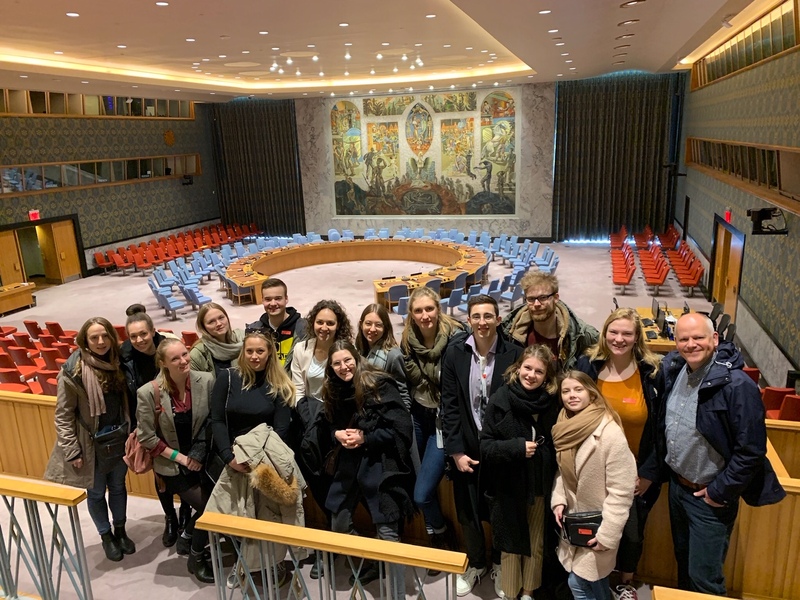 It was quite good to see that for many it was really a somewhat emotional experience when we entered the room of the Security Council... (I had the same feeling when I was there as a student for the first time). As most of these students joined the programme because of the European/international dimension, Eurosim was very valuable for them. Next year again in Europe (probably Maastricht or Antwerpen). We organised it in 2014. Many thanks to ‘Eurosim-veteran’ Martin Rosema for preparing our students so well for this experience and for organising the valuable lunch with the UT/WWU-alumna who works at the UN. Martin, you were dearly missed by your colleagues.